Apple has reportedly bowed to pressure from the Indian government and will help it build an iPhone version of its "Do Not Disturb" anti-spam app, albeit with more limited capabilities than the Android version. After a year of resistance, Apple executives —including senior director for global privacy Jane Horvath —flew to New Delhi in October and said the company would help with development, Reuters sources said on Wednesday. 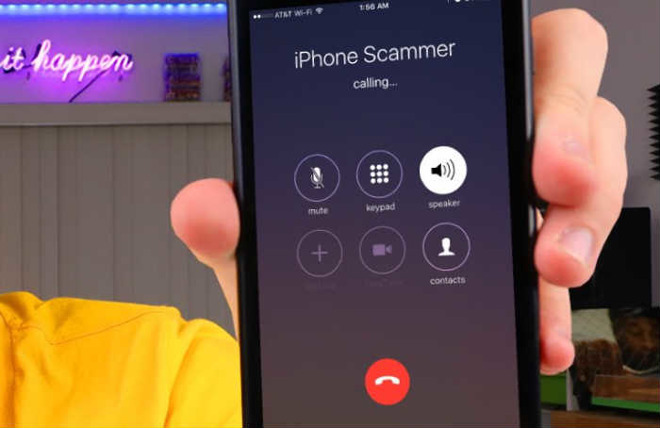 The company has allegedly explained that iOS may not allow for government requests such as access to call logs, which would let people flag spam more quickly. Apple normally prevents third-party apps from accessing call and SMS logs, for the sake of privacy. An Android version of Do Not Disturb has been available since 2016, but despite seven or more meetings and regular email exchanges, an iPhone equivalent has been kept off the App Store due to Apple's privacy stance. The company may need to curry favor with the Indian government to establish a better foothold in the country. There are still no Apple stores in India, owing to local sourcing requirements. To meet those requirements, and to grow marketshare by making iPhones more affordable, the company is looking to expand local manufacturing. It has asked for tax breaks, but those could be harder to get if the government feels Apple is being uncooperative.